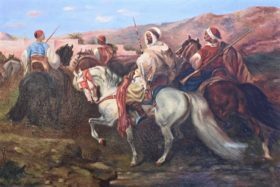 Exceptionally executed oil on canvas painting. 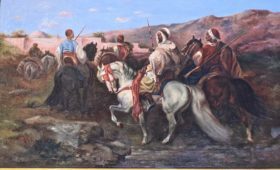 The scene depict several armed Arabian warriors on horseback traveling through mountainous terrain. 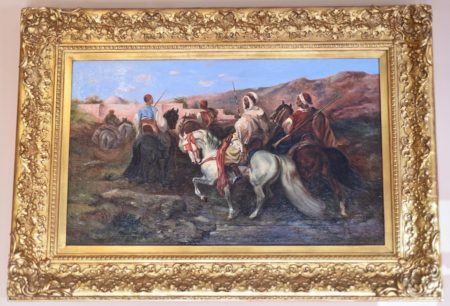 The painting resides in an ornate gilt frame.